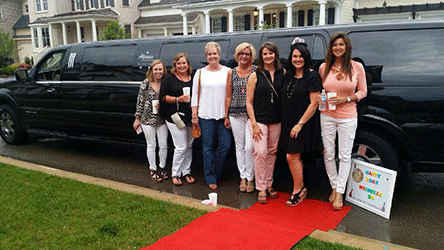 Allstars Limousine in Nashville focuses on presenting each and every client with a unique, one-of-a-kind extraordinary experience. We provide reliable, safe and professional service to corporate, consumer, and celebrity clientele. We have top of the line limos in Nashville, sedans in Nashville, and luxury transportation vehicles in Nashville, highly professional, courteous and experienced chauffeurs as well as courteous, efficient and dedicated management staff all combine to make Allstars Limousine Nashville, TN a rising star in the field. We offer competitive pricing in line with industry standards. The NFL Draft is coming to Tennessee, Book the Cadillac Escalade ESV 2018 chauffeur driven up to 6 passengers today! 2019 NFL Draft will begin at 9:00 PM on Thursday, April 25 and ends on Saturday, April 27 Call before we are booked up. Bar Hop in Style, Skip The Long Bar Lines Allstars Limousine were picked for the CMA Awards as the limos to take if you want the All Star treatment! Visitors, Welcome to Nashville, TN! Our limo drivers know this town better than anyone. Let us plan your night and take you to all the best Clubs and Bars. Listen to Music and Dance the night away in style. 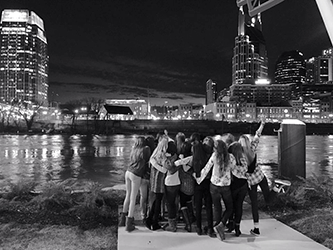 There is no better way to see Nashville!! Pull up and get dropped off at the door… Most of the time we can get you and your friends straight in without waiting in line!!! For most people they will get together with friends and family, go to parties,clubs or stay at home and have guest over. Whatever you decide please plan ahead. The Allstars Guarantee- If you’re not there on time- Your wedding limousine service is FREE! We are proud to say that we have been on time 100% successfully!